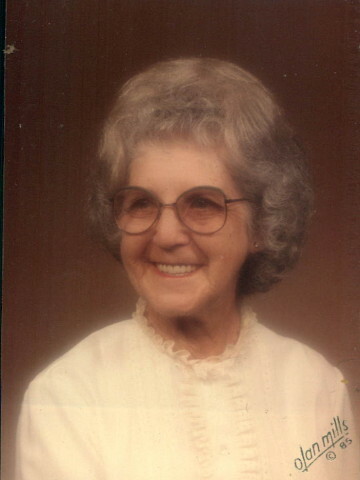 Mary Evelyn Woods, age 96 of Hendersonville, TN passed away on November 7, 2013. She is preceded in death by her husband, Jenkins Woods, sister, Beulah Howell, and daughter, Mary Jane Hamlett. She is survived by her daughter, Alice Thompson, grandchildren, Robert Hamlett, Marie Orndorff, and Tommy Thompson, 9 great-grandchildren, and 3 great great-grandchildren. A visitation will be held on Friday, November 8, 2013 from 4-8pm and Saturday from 12-2pm, with a funeral ceremony following on Saturday at 2pm in the chapel of Hendersonville Funeral Home. A graveside ceremony will be on Monday at 11am in Forest Lawn Cemetery.